Kitsap Mosaics is a small mosaic art studio and cafe providing a creative outlet to local families and visitors to downtown Poulsbo, offering open studio space, party rentals, lessons and workshops. 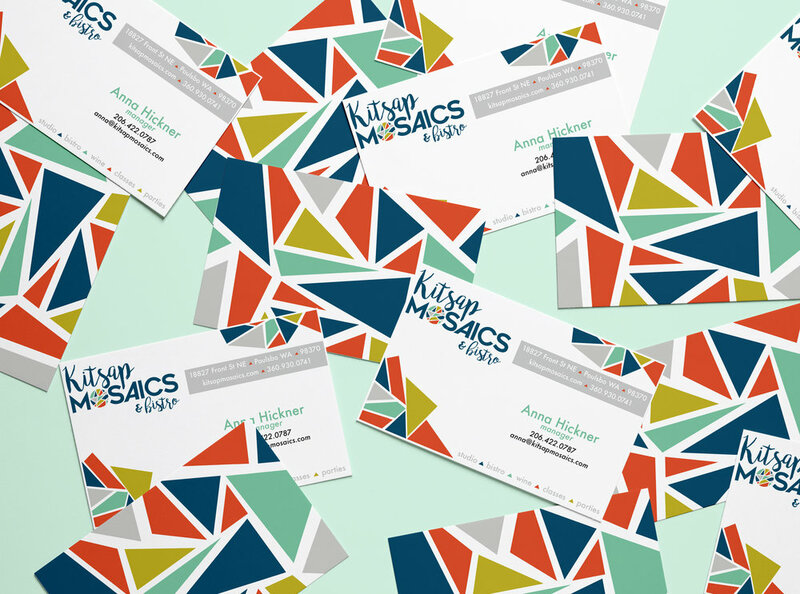 As their business expanded they found a need for a cohesive brand identity that expressed the eclectic art form, and their fun family friendly studio. The bold colors and geometric shapes mimic the style of mosaic art, and provide an eye catching pop of color to all the materials, drawing attention to their expanded storefront. Student project completed for completion of the Graphic Design program at the Northwest College of Art and Design (NCAD) 2016. My logo, social media graphics, and business card design were ultimately chosen and used. 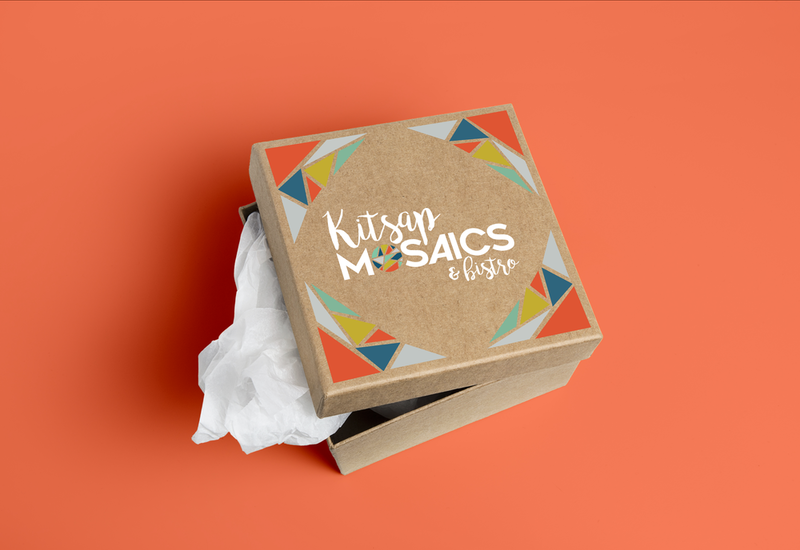 Kitsap Mosaics announced they would close the storefront in Summer 2017.